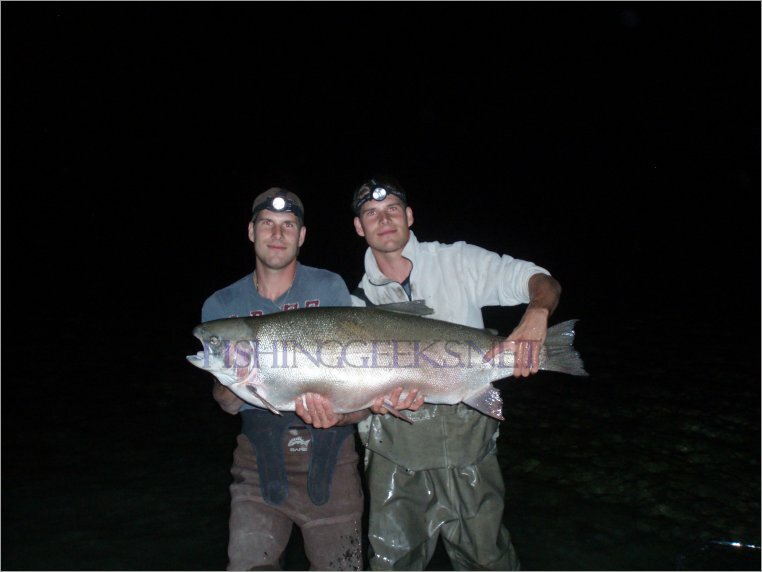 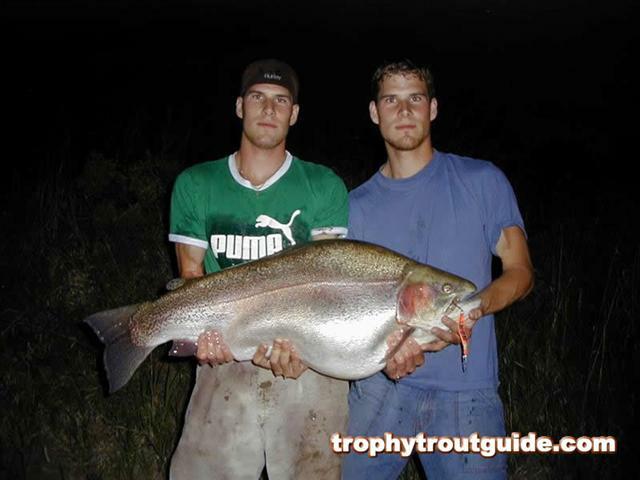 On September 5/2009, Canadian angler Sean Konrad obliterated the IGFA all-tackle world rainbow record with a 48-pound rainbow out of Saskatchewan's Lake Diefenbaker, eclipsing a 2-year-old record held by his twin brother Adam, which can be seen below. 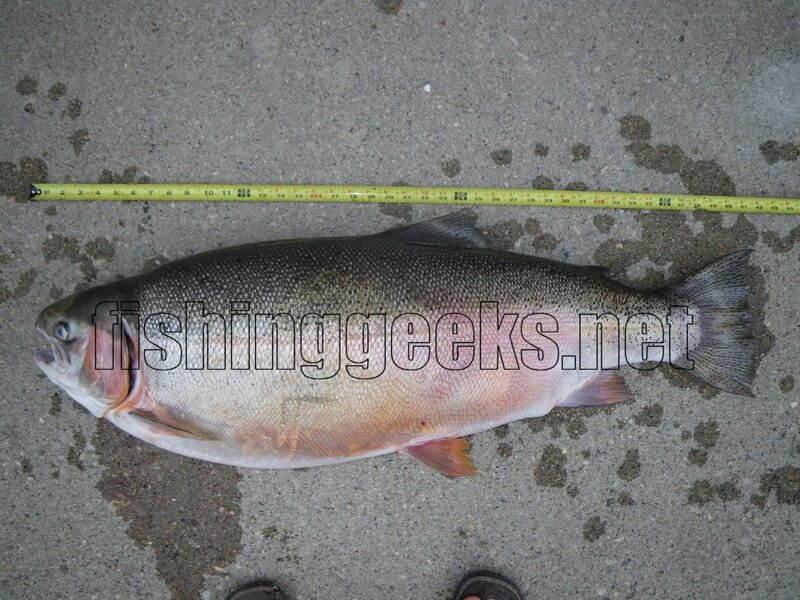 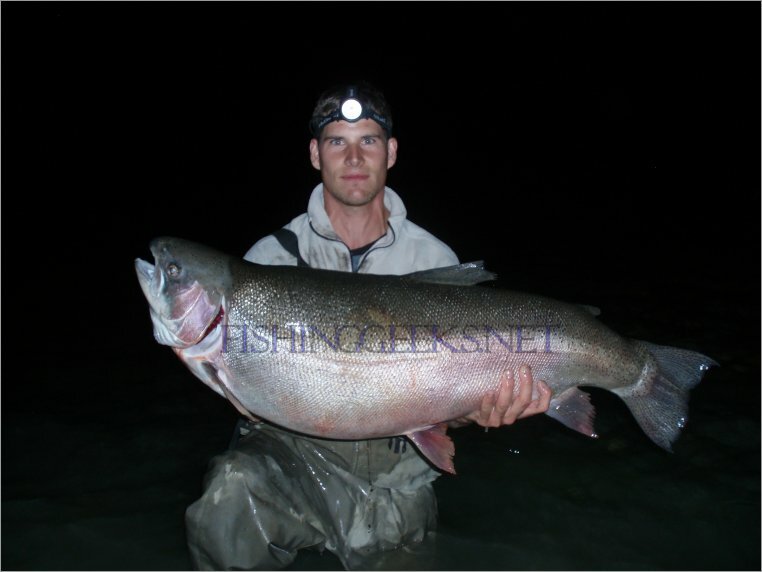 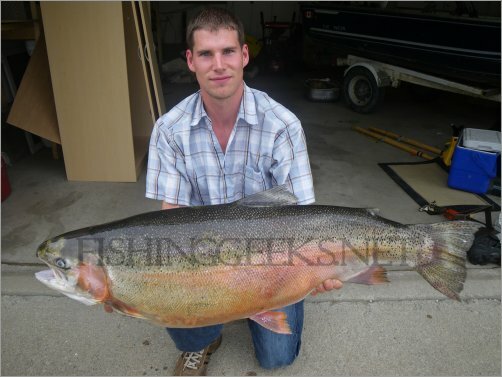 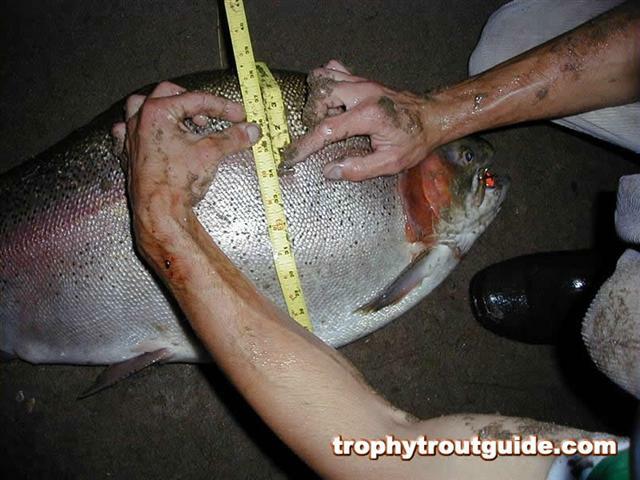 Adam Konrad of Saskatoon, Saskatchewan caught this Rainbow Trout in Lake Diefenbaker on June 5th , 2007. 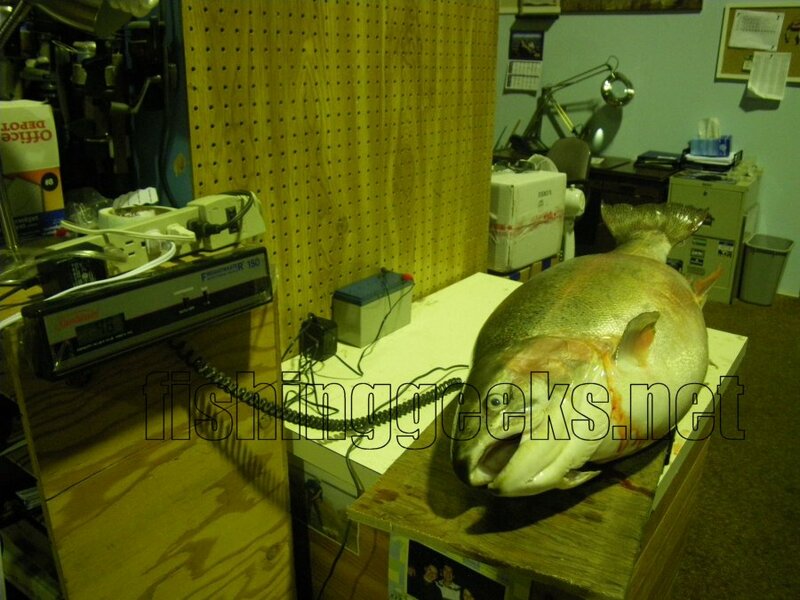 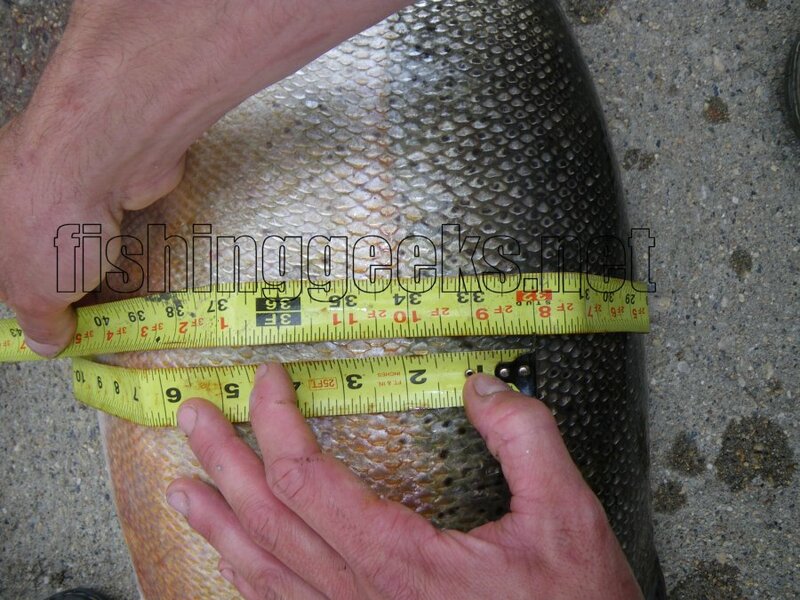 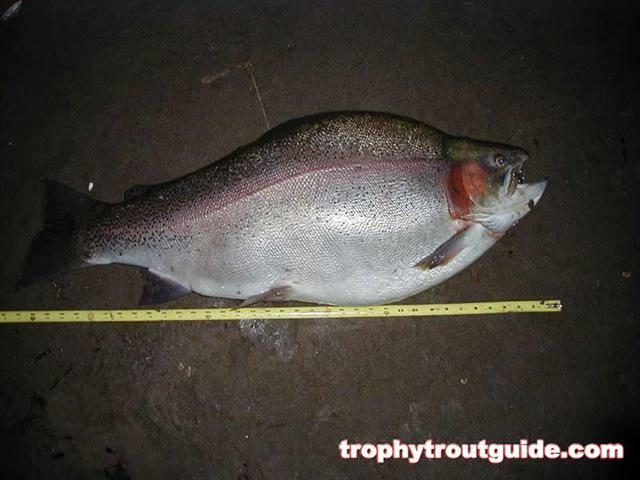 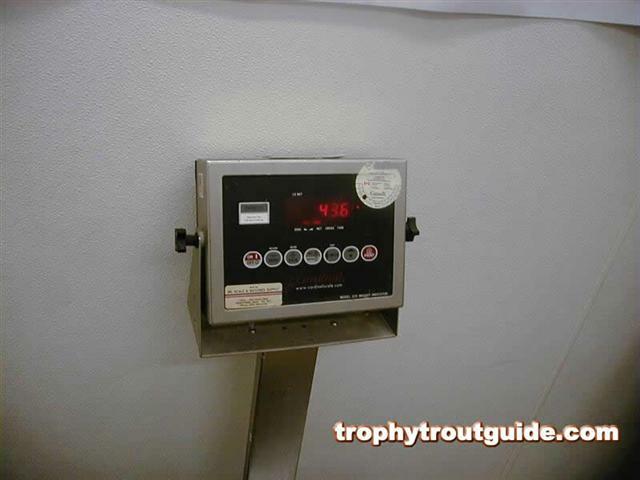 The impressive trout weighed in at 43 lbs 6 ounces. It is a new World Record. 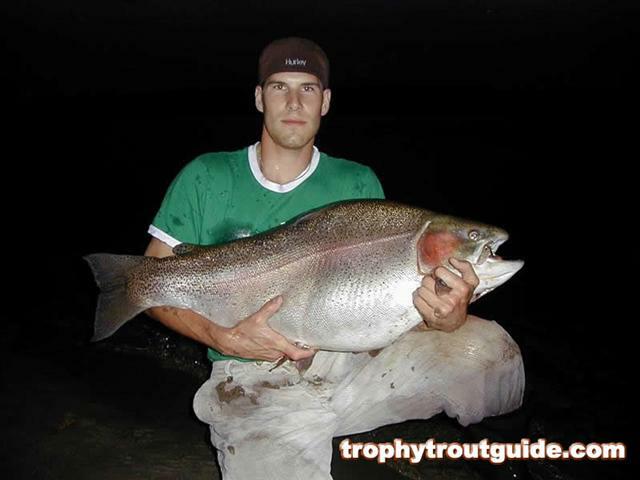 The fish will have to be tested to see if it's a pure bred or a genetically enhanced trout before it receives official World Record status.